Public Health Institute, Federal Ministry of Health and the East Mediterranean Public Health Network conducted a meeting to discuss the “Field Epidemiology Training Program (FETP)” curriculum with all relative stakeholders. The meeting was held at the Federal Ministry of health and included representatives from the states ministries of health, non- governmental organizations including the World Health Organization, academic institutes and stakeholders at the federal level. 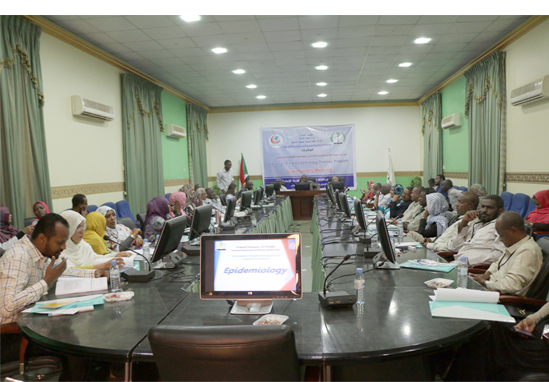 Stakeholders were divided into groups to discussed different aspects of the field epidemiology program, including governance of FETP, field work, and curriculum modifications that might be needed to suit the context of the Sudan. At the end of the workshop, a panel discussion was conducted to discuss and finalized the group work, and recommendations were drafted on the way forward.